A $5.6 million bureau table and a $662,500 Federal side chair made new world auction records at Christie’s Americana Week 2011 in New York. The Catherine Goddard Chippendale block and shell carved and figured mahogany bureau table c1765 is attributed to John Goddard (1724-1785), Newport, Rhode Island. 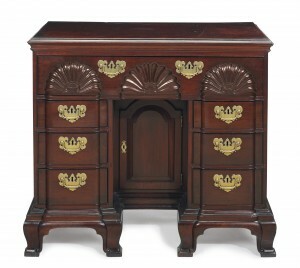 The desk bears all the unique characteristics that make Newport furniture of this era so highly prized by collectors. It had been estimated at $700,000-900,000. The price paid of $5,682,500 represents a world auction record for the form. 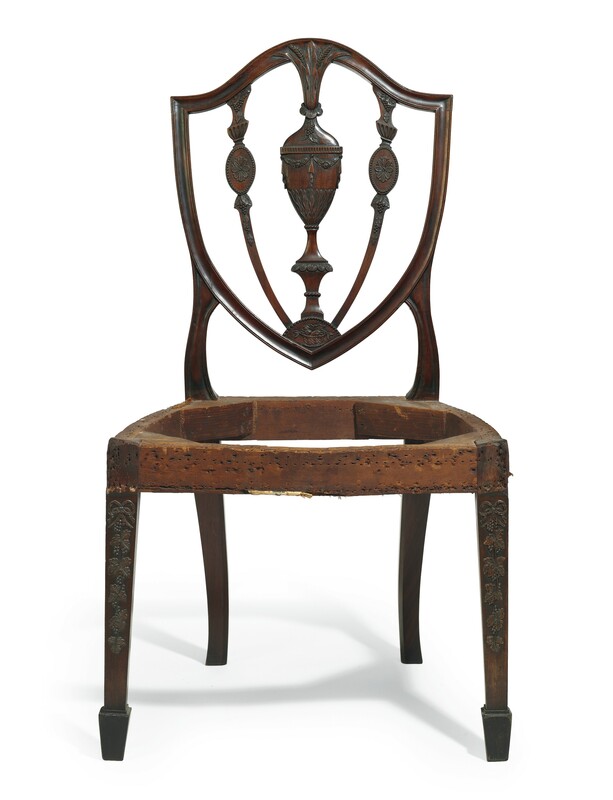 The Federal carved mahogany side chair, known as the Elias Hasket Derby chair, has carving attributed to Samuel McIntire (1757-1811) of Salem, Massachusetts. McIntire, one of the earliest architects in America, was influenced by the Palladian style and was skilled at furniture making and sculpture. The chair had been estimated at $30,000-50,000. 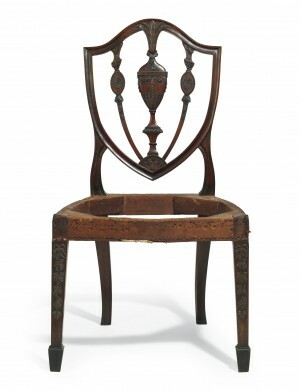 The price paid represents a world auction record for a piece of Federal furniture. The combined total for Americana Week 2011 at Christie’s New York was $22,026,376/£13,784,788/€16,222,849, achieved through five sales from January 18 through 25. This entry was posted on Wednesday, January 26th, 2011 at 7:50 pm	and is filed under AUCTIONS, FURNITURE. You can follow any responses to this entry through the RSS 2.0 feed. Both comments and pings are currently closed.